ZALORA is celebrating its very first birthday this February 28th, and to thank our customers for 365 days of fabulous shopping experiences with us, we are giving away birthday prezzies! With every SGD50 and above spent on ZALORA.sg, shoppers will receive a Golden Ticket with their delivery. 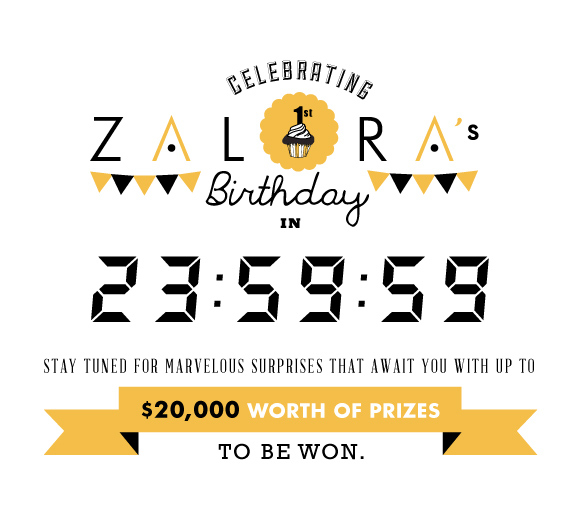 www.zalora.sg/golden-ticket to stand a chance to win over $20,000 worth of prizes. Prizes include gift cards up to SGD1,000, limited edition Havaianas Tote Bags, ZALORA limited edition collateral, etc! i have attend their sneak preview online and this is how the e-celebration looks like… stylish! i just received golden ticket !wat can i do ?